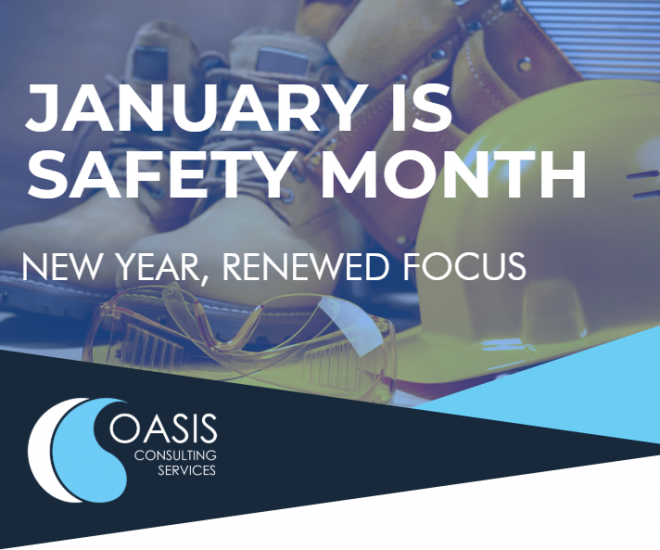 January marks Safety Month at Oasis Consulting Services — providing an opportunity for every member of the Oasis team to reestablish a foundation of safe habits to build on throughout the year. From training and certification to on-the-job monitoring, we are setting the standard for safety for 2019 and beyond. Stay tuned to see how Oasis keeps safety at the forefront of every task, every project, every day.